Bunevich gained prestige as one of the leading sports collectible show promoters in the nation during the period of 1983-97. He hosted over 300 athletes as guests at his shows, including many of the biggest names in sports. Tom Bunevich graduated for Marshall University in 1975 with a BA in journalism. 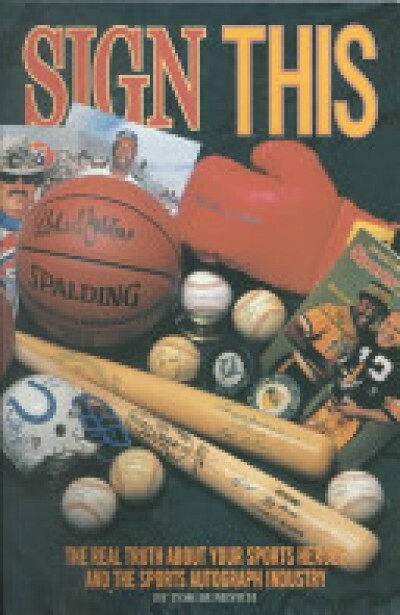 After obtaining a MA in sports administration in 1982 from Biscayne College (now St. Thomas University) in Miami, Florida, Bunevich entered the sports memorabilia business. He started Bay Area Sports Collectables in Tampa, Forida in 1983.Tom has worked for a small number of local newspapers, the Charleston Daily Mail (WV), Pittsburgh Post-Gazette (PA), and Canonsburg (PA) Daily Notes. He has written freelance articles for Sports Collectors Digest, Sweet Spot and other publications dealing with the sports collectible industry. From 1991 to 1995, Tom hosted a weekly one hour collectible show on WFNS-Sprots Radio 910 in Tampa. After selling his sports collectible shops in 1989, Tom formed TB Sports Promotions. TB Sports conducted sports collectible shows in Central Florida for eight years, hosting more the 300 sports figure autograph guests for events. He was a founder and first president of the Florida Baseball Card Dealers Association. Bunevich is an autograph collector and gained presige as one of the leading sports collectibles show promoters in the nation. In business from 1983 to 1997, he earned a reputation for honesty, integrity, and quality service. He etimates he has sold more the $2 million worth of autograph signature tickets and items in his 14 years in the industry. Bunevich has worked as Show Manager for the Tampa Tribure since October 1997. He lives in Tampa with his wife Sue, and sons Matthew and Andrew.